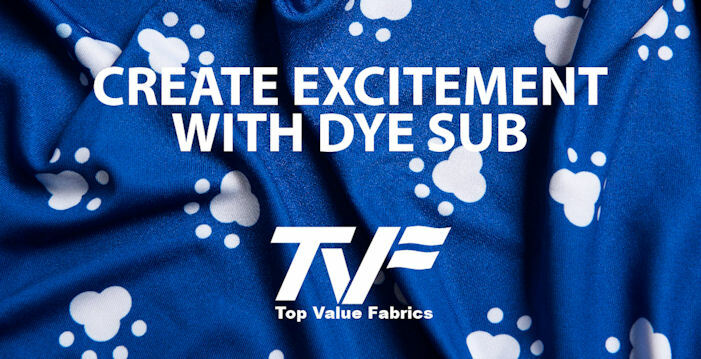 Top Value Fabrics offers a complete line of dye sublimation fabrics for apparel applications, and we were recognized in the latest issue of the SGIA Journal's Garment edition. 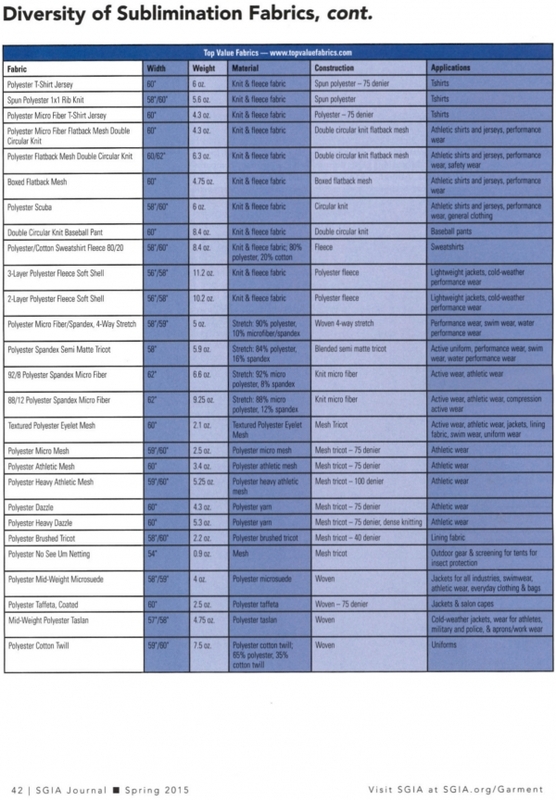 We have such a diverse collection of dye sub fabrics - so much so that we're the only company listed who SGIA needed a full page to represent! As a leader in dye sub apparel fabrics, we're proud to have the right fabric for your next project. 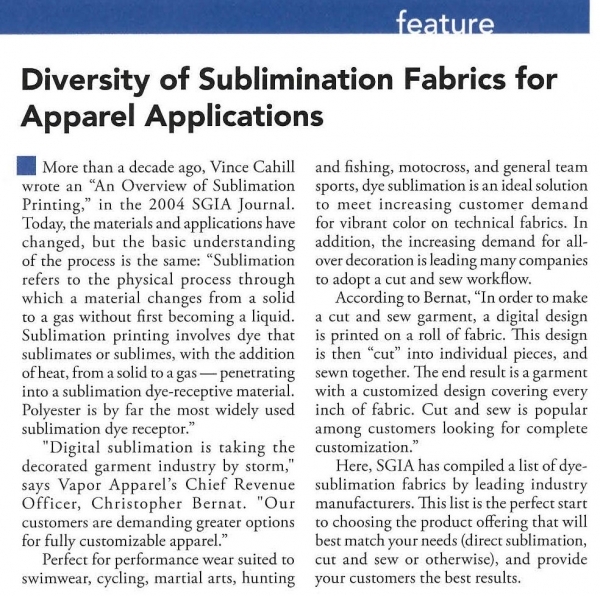 Check out an excerpt below from the article in SGIA Journal's latest issue, or click here to view our entire line of dye sub apparel fabrics. If you're interested in our dye sub banner fabrics, click here or for advice with any of your applications call our fabric experts today at 855.618.4500.